Frequent confession is good for the soul. It’s 1957 and you are seven years old. You stumble into a tiny dark closet, fumbling around for the kneeler so you don’t fall. After a few fearful minutes of hearing muffled voices from the other side of the wooden slider, it scrapes open to reveal a shadow who speaks seriously and sternly. You forget everything you were going to say and can’t remember the Act of Contrition (for which you were scolded). Thank the good Lord that those days are over, right? Well, in some ways, yes—but in other ways, no. 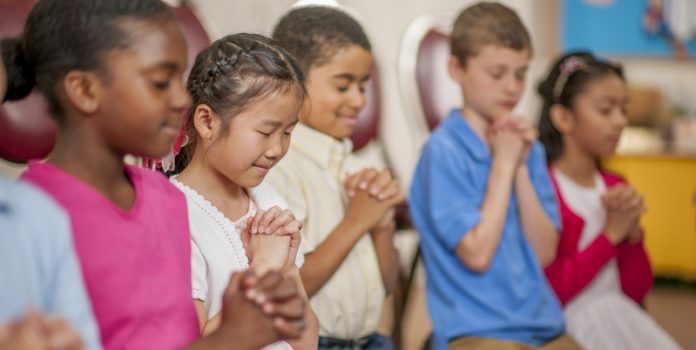 Certainly, catechists can rejoice that there is no fear on the part of seven-year-olds going to confession. In fact, we have done an excellent job teaching that God’s forgiveness and mercy is a cause for celebration. But we have not done a very good job teaching that frequent confession is good for the soul. Few young people go to confession regularly, which means that few understand the cleansing and healing nature of the sacrament. In discarding the concrete lists of venial and mortal sins baby boomers were made to memorize before going to confession, we also seem to have discarded the notion of serious sin. While understanding that going to confession and repeating the same thing over and over every week is a form of unhealthy scrupulosity, we seem to have diluted the meaning of the sacrament to such a degree that many of our young people don’t believe it at all. If we were doing a proper job in passing on the meaning of the sacrament and the effect of its graces on our children (restoring a broken relationship with God and our fellow human beings), our youth would be flocking to confession instead of staying away in droves. There are two things that need to happen before the sacrament of reconciliation can take its rightful place in the lives of families. One is to refocus attention on the daily examination of conscience (looking at our weaknesses, our failures); the other is to readjust our own attitudes toward the sacrament. How often do I go to confession? How (and how often) do I examine my faults and weaknesses? 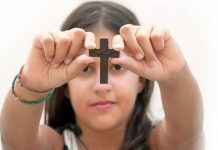 Am I living the Catholic faith the same way I am teaching it? The Church teaches that confession is required if someone is in mortal sin, a situation in which a person has separated himself from God. Too many people assume that if they haven’t murdered anyone, they are good to go. Not the case. Let’s look at the sin of gossip. Venial or mortal sin? That depends. Suppose you are guilty of gossip once in a blue moon, and are sorry as soon as you spread the gossip (whether it’s true does not matter), and attempt to correct the sin by making restitution to the injured party. That’s a venial sin. Another person, however, knowing that gossip tears down the kingdom of God, continues to enjoy being the first one to spread the juicy news. The conscious, continual, and deliberate commission of a sin like gossip eventually separates that person from God. In this case, the sin of gossip becomes mortal. For these reasons, it is important to reflect on your sins daily so you can more easily recognize your failings and prevent them from becoming mortal. As a catechist, you need to be diligent in teaching the importance of confession, its significance, and how it is an essential part of our Catholicity. We are gifted with a unique ability to follow the Scriptural passage that says, “Confess your sins to one another” (James 5:16). Acting in the role of Jesus, the priest offers Christ’s absolution, penance, and God’s pardon and peace (CCC, 1424). No other faith or denomination offers such an opportunity for a new beginning: The soul’s slate is wiped clean, and the right relationship with God is renewed and strengthened. As we become stronger in the practice of confession and the right of reconciliation, we can help families reposition the sacrament in their daily lives. How do we do this? Make confession an integral part of the fall and spring catechetical calendar, and invite families to come to the sacrament together. Provide families with a simple yet thorough examination of conscience designed for children and adults, along with accompanying reflections and prayers. Celebrate the sacrament during a prayer service, asking participants to reflect on who they are in the story. Incorporate the parable of the prodigal son into the prayer service, asking participants to reflect on why they are in the story. 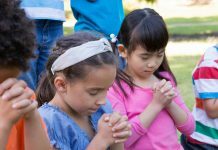 Provide a prayer of forgiveness: first for children asking forgiveness of their parents and then for parents asking forgiveness of their children. This is powerful. Your greatest effort with parents should be helping them get back to the regular practice of confession. When I was a parish DRE working with families whose children were preparing for first reconciliation, I told parents they would have to go to confession along with their children. Parents would go first, make their confession, and they would bring their child to the priest and wait outside. I explained how important it was to model living the Catholic faith, and how their attitude toward confession would translate into how their children felt about the sacrament. Often, there were immediate protests from the parents, but I had an ace up my sleeve. With the cooperation of our priests, I told the parents that Father Tom and Father Stan had agreed that if a parent came into the confessional but was not ready to confess, he or she would simply ask for a blessing. No one would be the wiser. These priests were wonderfully pastoral; when parents came into the confessional and were reluctant to speak, they were able to gently persuade them (since they were already there anyway) to make a good confession. Many parents came out of the confessional with tears of joy, thanking me for a blessing they never thought they would receive again. As catechists, let us renew our commitment to encourage our students-and parents-to take advantage of God’s healing love in the sacrament of reconciliation. Dr. Kathy Kleinlein is the director of catechesis for the diocese of Venice, Florida.